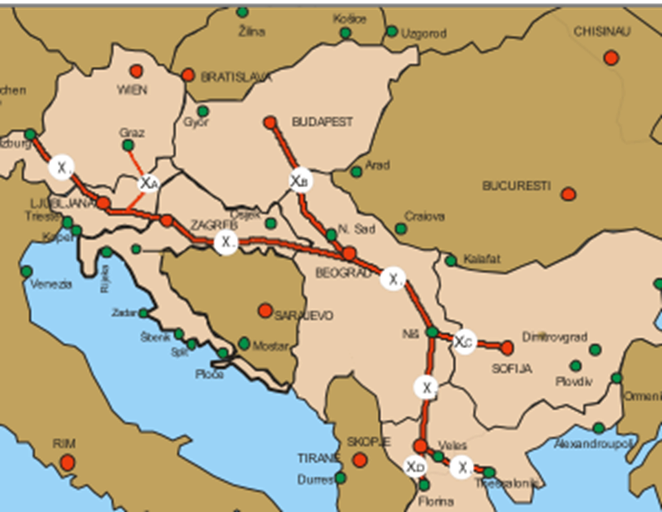 The Corridor X is the main roadway and railway communication axis in Croatia and one of the cornerstones of community transportation policy as it will connect Germany and Austria with Greece and Turkey. In detail, a technical and financial analysis has been carried out on the Croatian part of the railway Corridor X (270 km). Starting from a transport analysis and an update of the previous master plan, this analysis leads to the identification of infrastructure construction priorities and the definition of technological standards. - Definition of the signaling and infrastructure layouts for each scenario.